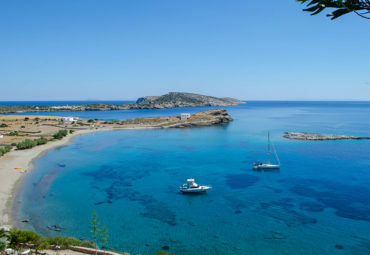 Get ready for a thrill jet ski safari ride to the famous pirate hideout of Kleftiko! 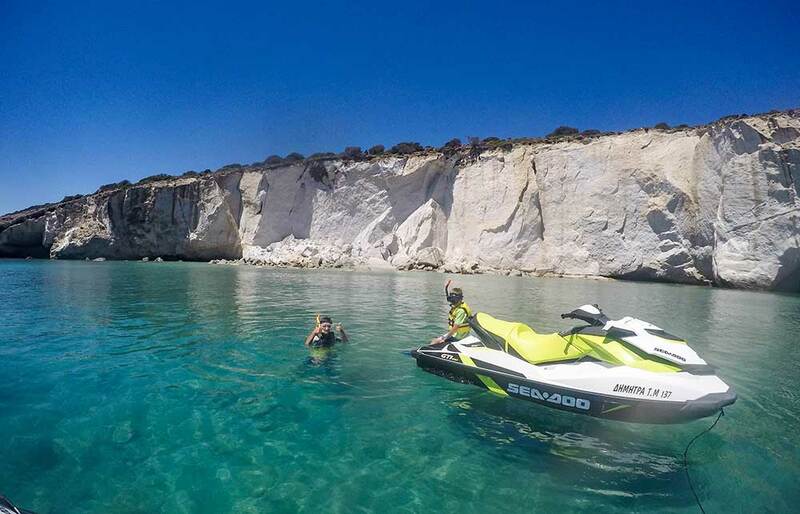 Leave the calm, colorful beaches of Milos for a few hours to ride the waves on a jet ski. 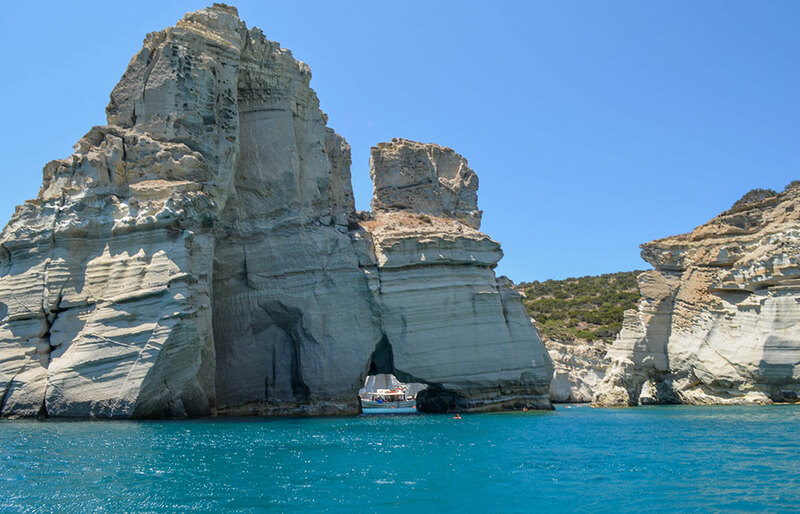 Explore Milos’ unique sights by the sea and get ready for an awesome one-of-a-kind experience! 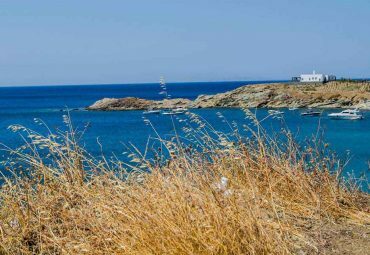 Grab your favorite company and enjoy this escorted 2.5 hour adventure safari into the open sea before you reach the ultimate destination of Kleftiko. 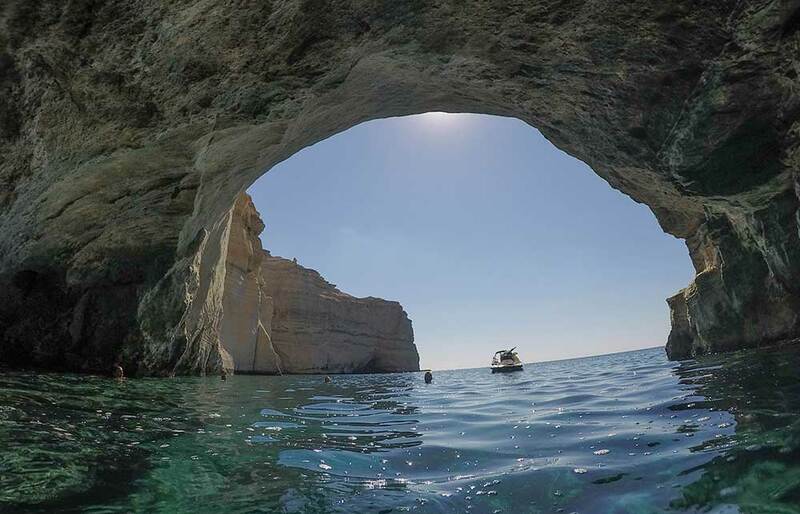 The most famous natural attraction of Milos, Kleftiko, is a unique volcanic landscape that has served as a pirate hideout for centuries. 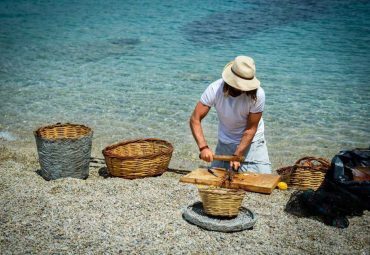 Here you will experience the crystal clear waters, explore the fascinating caves and underwater passages that lead to three different secluded bays. Before you start you will have a briefing session. 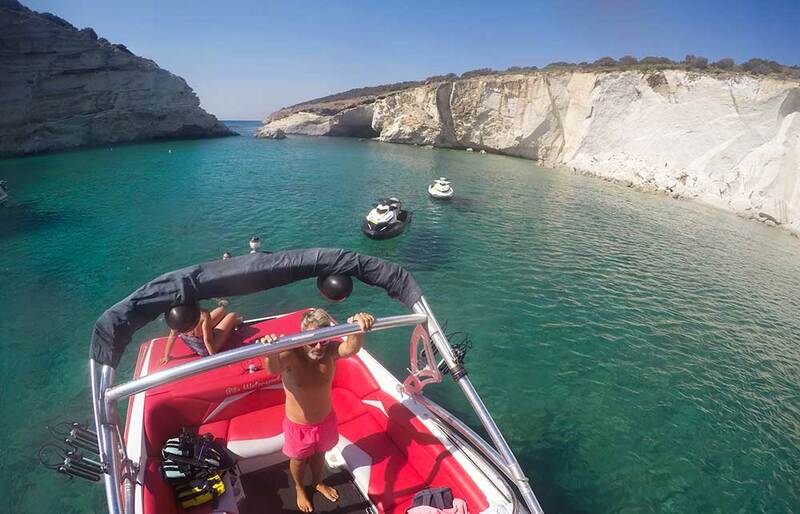 Once you are set with the instructions, a speed boat will accompany you to Kleftiko, and an experienced captain will show you the best features along the way that Milos’ coastline on has to offer. 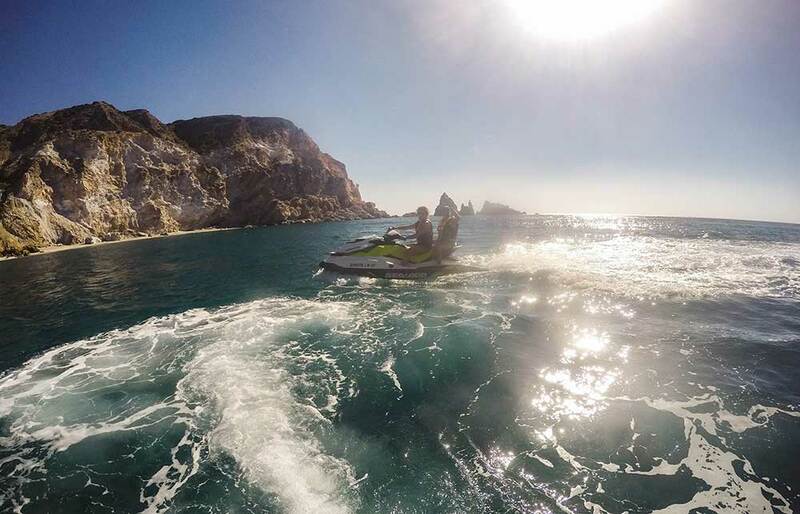 Children (6 – 12 years old) are allowed to participate when sharing a double jet ski with parents. 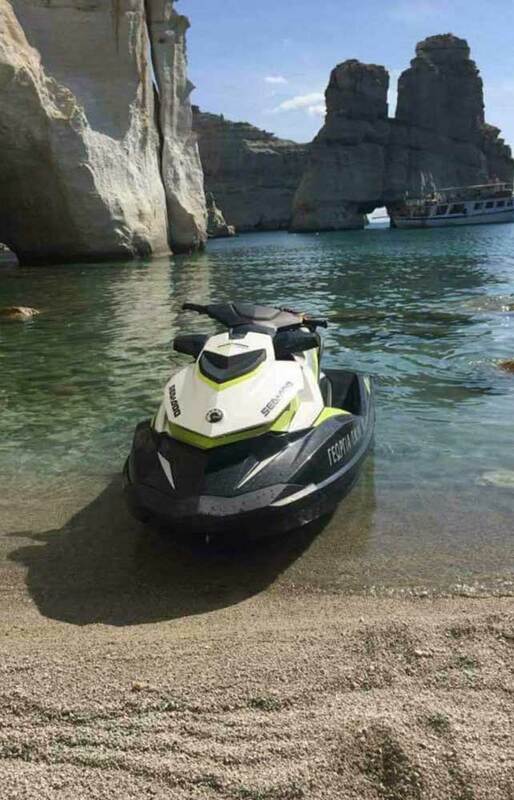 Previous experience and jet ski license is mandatory. 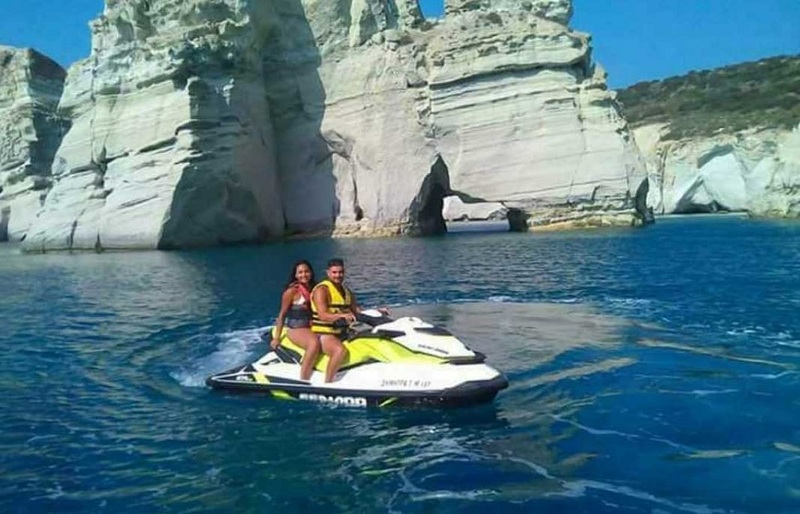 Jet Ski Safari is weather permitting and may be a subject to change without prior notice. This tour is 2.5 hours of fun - fun - fun (!) 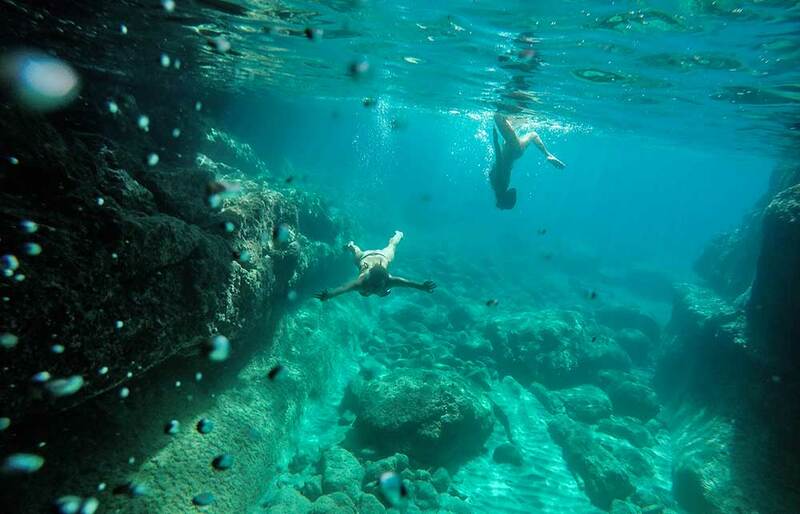 riding the waves and seeing out-of-this-world landscapes!!! !